We are pleased to announce the launch of a new mobile phone tour. The tour features 16 points of interest with the promise of more on the way. Created by the Friends of the Montezuma Wetlands Complex volunteers with help from the Montezuma National Wildlife Refuge, Montezuma Audubon Center and the Northern Montezuma Wildlife Management Area, visitors can listen to audio recordings, view images and find your way to points of interest through GPS enabled maps. Visitors should be on the look out for tour stop signs throughout the complex to access that point of interest’s content. They can then choose to dial a number for an audio only tour or visit the tour stop webpage for a more interactive experience. 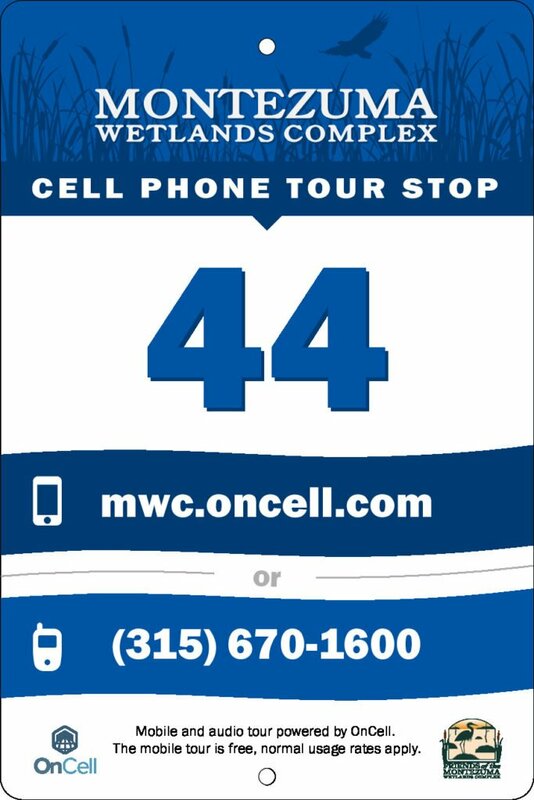 Those wishing to access the tour before, during or after their visit to the complex can use their mobile device’s web browser and go to mwc.oncell.com. For more information, or if you would like to contribute content to the tour, Contact The Friends of the Montezuma Wetlands Complex.